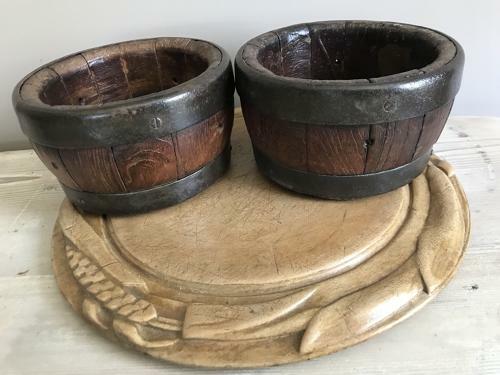 Small Oak, Iron Banded Cheese Moulds. I have not had this small size before. Very nicely made and lovely wood too. Make's a great plant stand etc.